Note: Continuing the new monthly format, remember to look for updates at least once per week, in the Calendar section but also under Big Gigs. Call August the Month of the Vocalist, with some heady talent visiting (Kendra Shank, Cyrille Aimee, Kevin Mahogany) as well as one of our veterans--Debbie Duncan-- recording a long-overdue live outing. Or call August the Month of Legends, with several visitors who deserve such status, including long-awaited returns of Lee Konitz and Dr, Lonnie Smith, and even an longer-awaited visit from Bob Rockwell. Or call it Month of Iconic Bands as Illicit Sextet, Happy Apple, and youthful Hoaxer all strut their stuff in August. Or just call it another great month of Jazz in the Twin Cities! Tuesday, August 1. First Tuesday -- The Bill Simenson Orchestra is on the floor at Jazz Central; Dean Magraw pairs up with Eric Gravatt at the Black Dog. At Crooners' Lounge, enjoy an evening with savvy vocalist Sophia Shorai with sublime backing from Rick Carlson and Steve Pikal. 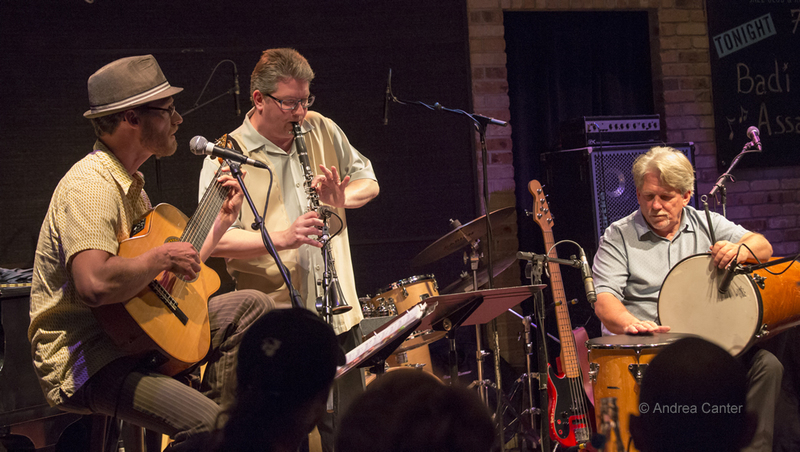 At the Dakota, Cuban jazz monsters and Grammy nominee Tiempo Libre return in the smaller configuration dubbed the Bohemia Quartet, with Jorge Gomez, Xavier Mili, Leandro Gonzalez and Fabian Alvarez. And at Vieux Carre', the night begins with solo piano from Chris Lomheim. Wednesday, August 2. It's been seven years since vocalist Kendra Shank came to town, and in the interim she's been busy releasing outstanding duo recordings with guitars John Stowell (New York Conversations, 2014) and almost-hometown pianist Geoffrey Keezer (Half Moon, 2016). 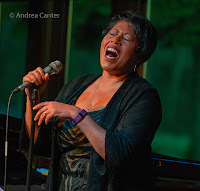 Now she returns to check out the intimate surroundings of the Dunsmore Room, celebrate the music of Half Moon, and interact with Phil Aaron and Gordy Johnson. Inventive yet always accessible, Kendra is one of the finest of modern-era singers, and still a "talent deserving wider recognition." Come early --beat the traffic and enjoy Arne Fogel and Lee Blaske for Happy Hour in the Lounge. 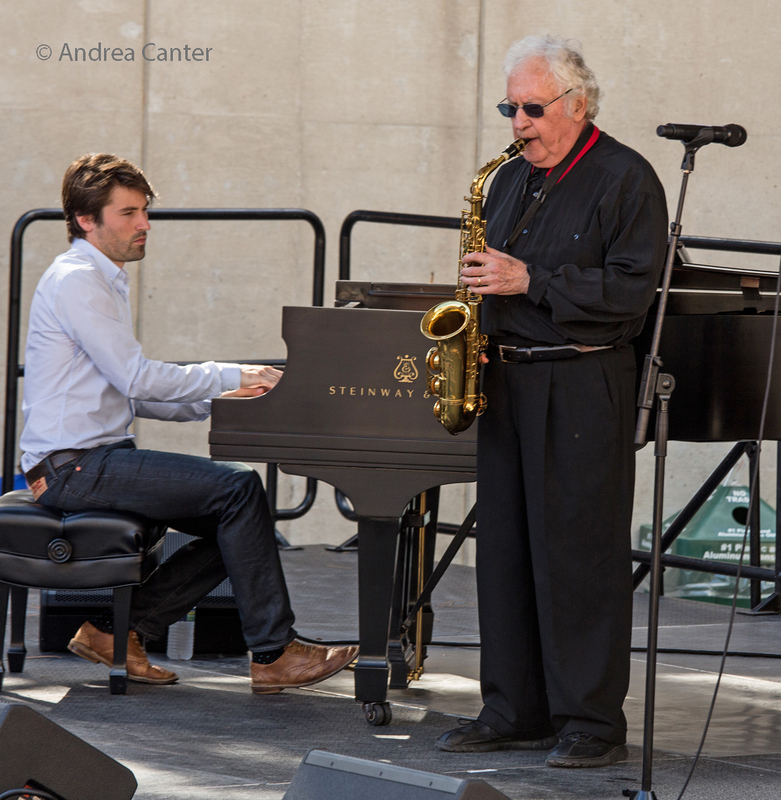 Two visitors with Iowa connections at Jazz Central tonight-- saxophonist Chris Merz and pianist Jon Snell have been playing as a duo for a number of years. Merz heads jazz at the University of Northern Iowa (Cedar Falls) and was the leader of Christopher's Very Happy Band that hit the Sixth Street Stage of the Twin Cities Jazz Festival last month as part of the Minnesota-Iowa jazz exchange. 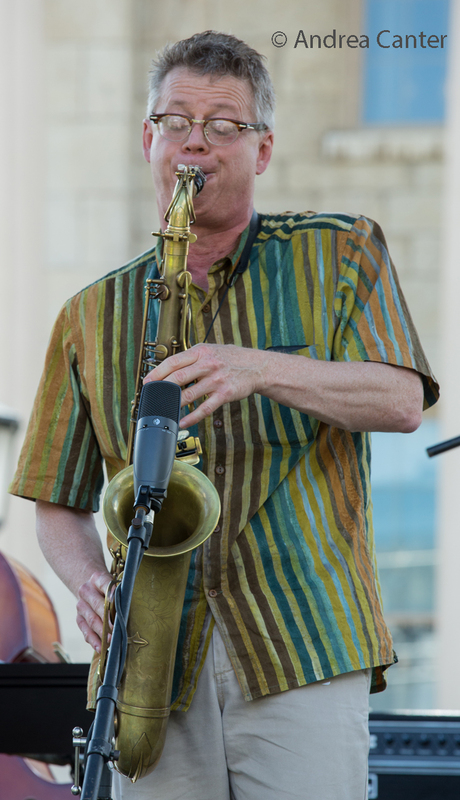 Snell lived and performed in Cedar Falls and Iowa City before heading east for graduate studies at the Manhattan School of Music, and remains based in New York. At Vieux Carre', Steven Hobert opens on solo piano, followed by the relatively new Selby Avenue Brass Band led by renowned jazz educator (and tubist) Tom Wells. And at the Minneapolis Woman's Club, First Wednesday means Connie Evingson in the Lounge with friends--Dave Karr and Andrew Walesch. Wednesday-Thursday, August 2-3. The Dakota hosts Los Angeles-based Paris Chansons for two night. Recently featured on CBS News, the ensemble is known for original renditions of French favorites from Aznavour, Brel, Dassin, Piaf, Montand and such contemporary artists as Zaz. Thursday-Friday, August 3-4. 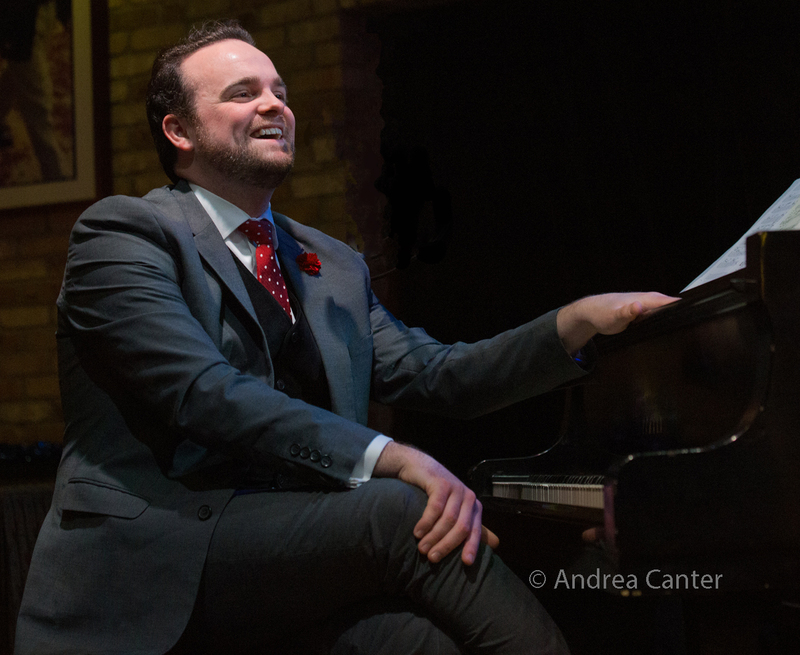 Often the host, Andrew Walesch is on stage himself for two nights of Happy Hour at Crooners Lounge. He's a one-man band on piano and vocals. Friday, August 4. 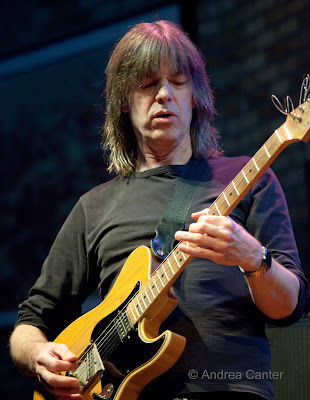 Two mighty string players open the evening at the Icehouse as visiting former resident Todd Clouser (guitar) and Icehouse 'house" bassist James Buckley join forces during the dinner hours. Jeremy Walker opens the night, followed by Jay Young and the Lyric Factory with their reprise of their Michael Jackson/Stevie Wonder salute, Superstitous Thriller II. 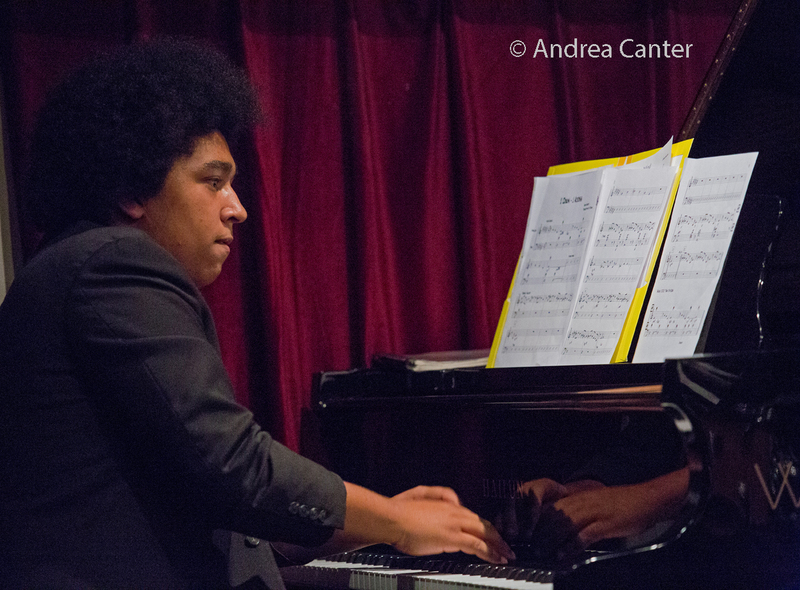 Jazz Central typically presents either Masters or Emerging Masters on Friday nights, and tonight the trio is both! 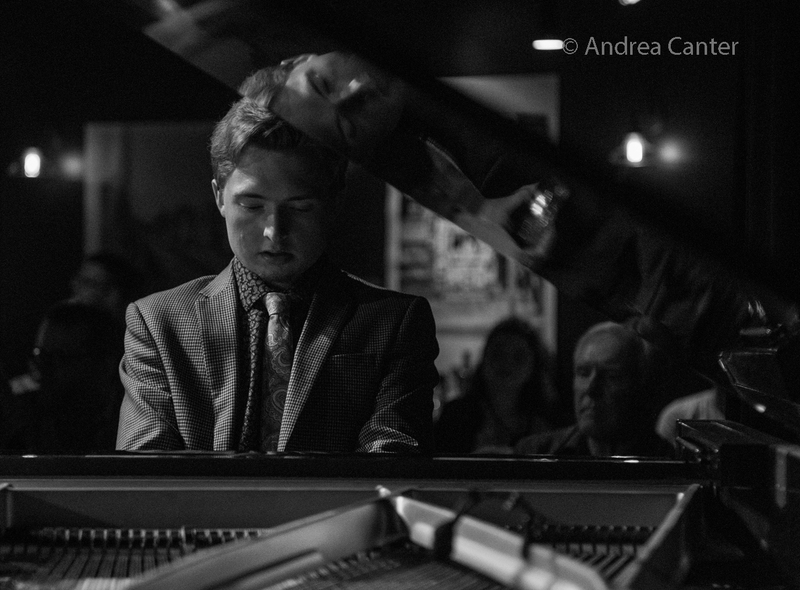 Jordan Anderson Trio is led by emerging master pianist Jordan Anderson, currently studying with Benny Green at the University of Michigan and gigging all over the metro this summer. 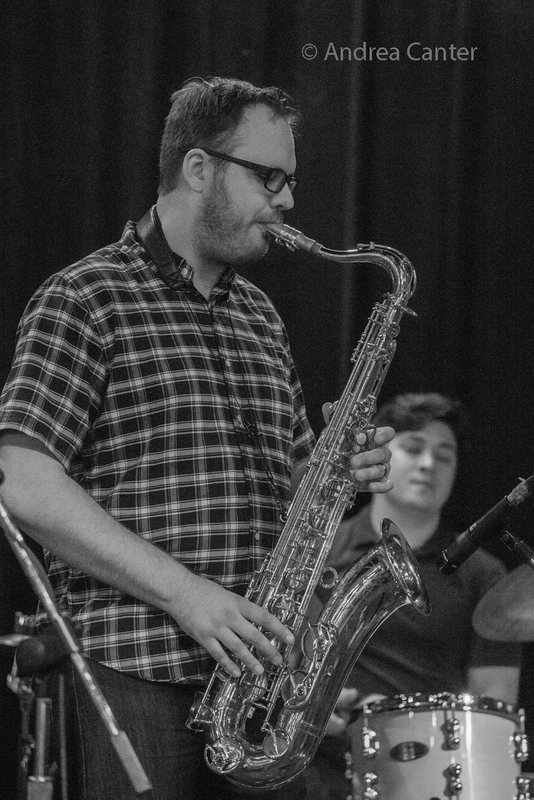 Bassist Charlie Lincoln has been a busy presence the past few summers during breaks from studies at the Berklee College of Music's Global Jazz Program; locally he's heard with Hoaxer and a long list of bands, and recently returned from a multi-city tour of Asia. Holding down the time is master drummer Jay Epstein, heard with Red Planet, Framework, Tall Tales and many other ensembles. Saturday, August 5. Jazz in the afternoon at the Icehouse as Doug Little presents his annual "showcase" of students from his Twin Cities Jazz Workshop. A few years from now we will be hearing these teens on the "emerging masters" stages around town. Speaking of emerging masters, the emergents turn the schedule upside-down as Saturday Night Jazz at the Black Dog's double header tonight starts out with a veteran trio, The Growlers, in honor of the Lowertown Guitar Festival. Growlers include guitarists Joel Shapira and David Martin, with drummer Pete Hennig. The "headline" slot is filled by No Exit, a highly accomplished group of collegians led by drummer Luke Peterson (Northwestern U), with alto saxophonist Peter Goggin (U of Michigan), trombonist Jack Courtright (Eastman), vibraphonist Levi Schwartzberg (U of M), guitarist Adam Astrup (U of Northern Colorado), and bassist Charlie Lincoln (Berklee College of Music). 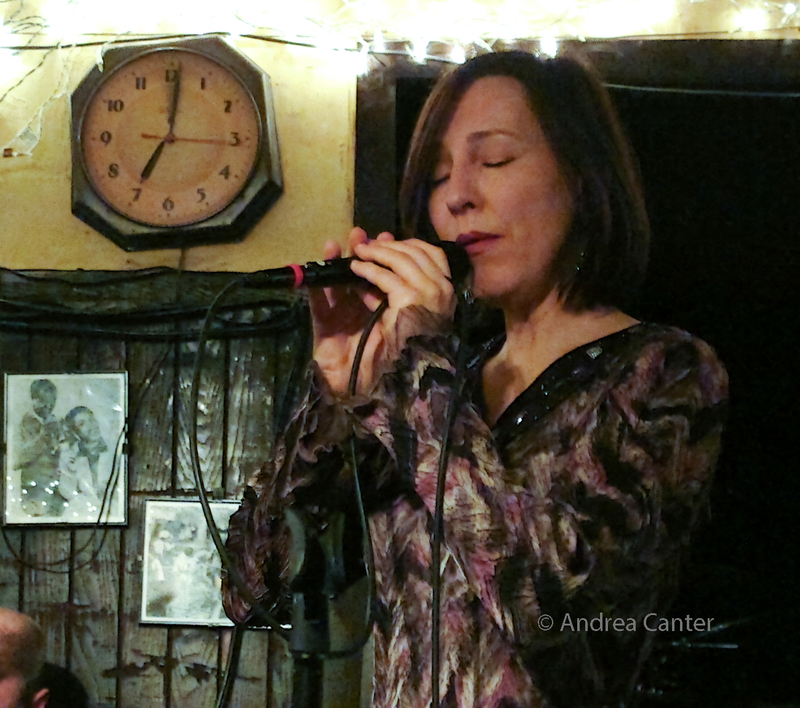 At Vieux Carre', Debbie Duncan takes the stage, warming up for her live recording night later this month at the Dakota, while the Travis Anderson Trio serenades at the Normandy Kitchen. Boom Island Brewing's Boom Room Jazz features Open Story--Dean Magraw, Bryan Nichols and Jay Epstein. 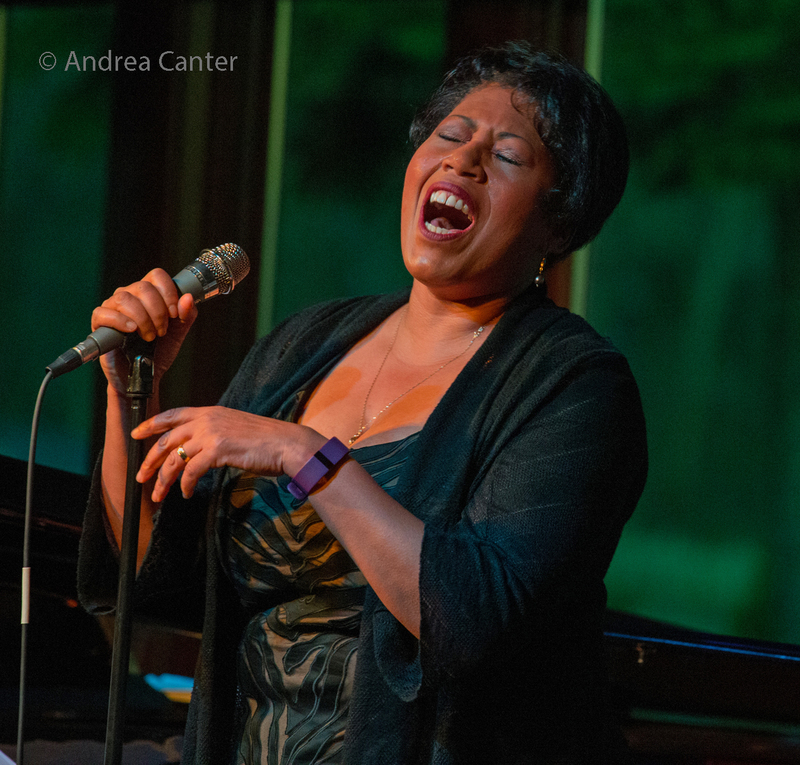 And at the Town House Bar, enjoy a "C-Ella-bration" of Ella Fitzgerald's 100th birthday with delightful standards, exciting duets, and fun vocal improvisation, courtesy of Jazz Alley--the singing trio of Katia Cardenas, Sarah M. Greer and Maryann Sullivan, with Lori Dokken on keys. Sunday, August 6. Early evening magic in Northfield! The JC Sanford Trio with Laura Caviani (piano) and Chris Bates (bass) joining the trombone master performs at Imminent Brewing. Monday, August 7. The Acme Jazz Company with Arne Fogel hits the stage at Crooners' for their monthly "party." 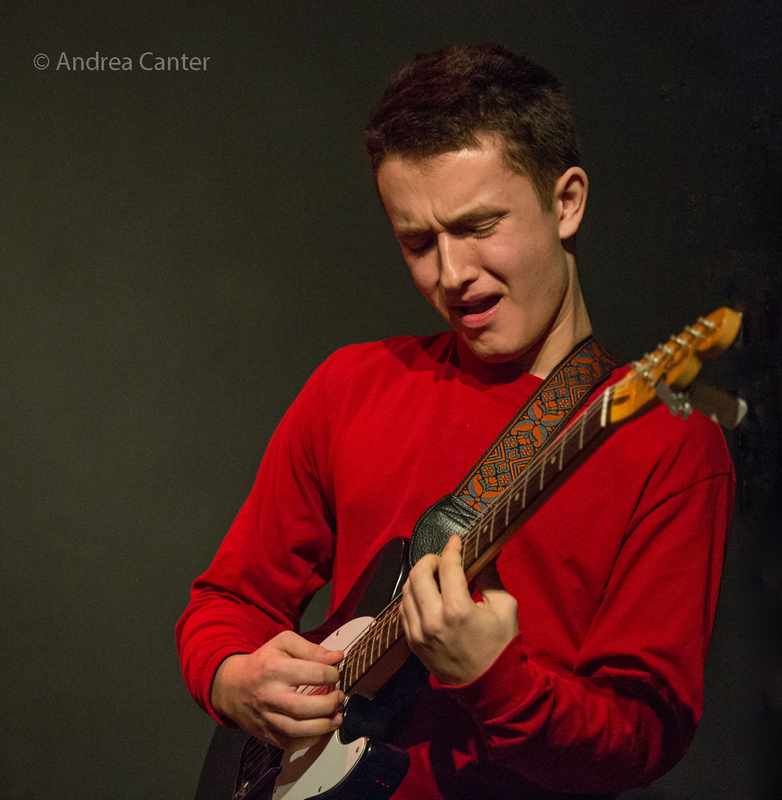 At Jazz Central, the "spotlight" is on young guitarist Will Schmid and three fellow collegians, Patrick Adkins (piano), Charlie Lincoln (bass) and Jesse Thorson (drums). 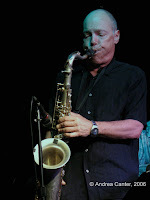 JT's Jazz Implosion at the Icehouse brings back area natives: John Raymond appears on trumpet with the Chris Thomson Quartet led by the local sax great--too seldom heard himself. Chris and JT Bates round out the foursome. We should be seeing more of Raymond now that he has relocated from New York to Indiana University. Second set: An even more rare appearance by area native bassist Michael Janisch and his Paradigm Shift with Zacc Harris and Brandon Wozniak. Tuesday, August 8. 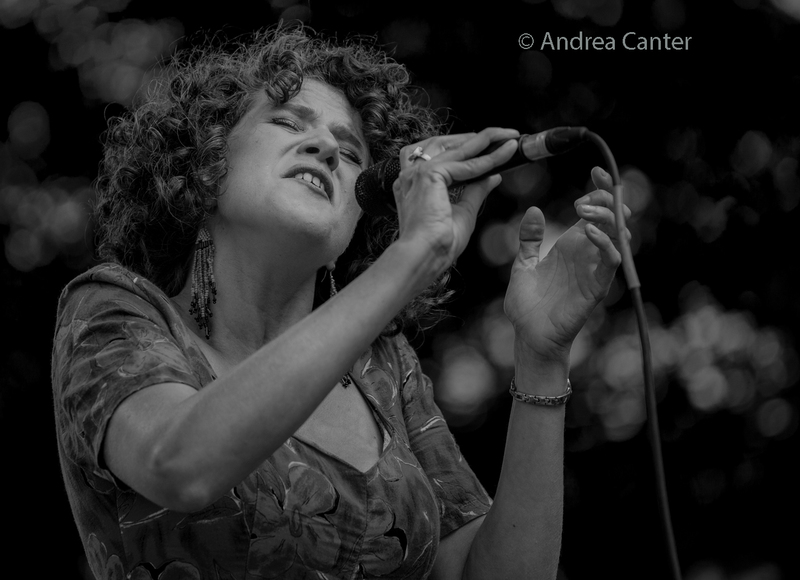 Few vocalists of the 21st century have been on as steep a trajectory as French-Dominican star Cyrille Aimee. Winner of the Montreaux Jazz Fest vocal competition, she's known for her Django-influenced ensemble, although her repertoire is ever-expanding, as she will demonstrate tonight on her Dakota debut. At Vieux Carre', young piano phenom Will Kjeer opens solo, followed by vocalist Sarah M. Greer, on stage for the rest of the evening. And the Black Dog hosts "Another Jazz Quintet," actually another young lions ensemble featuring some of the area's top collegians making the most of their summer break--headed by guitarist Jackson Potter with Peter Goggin (sax), Jordan Anderson (piano), Alma Engebretson (bass), and Edmund Catlin (drums). Tuesday-Wednesday, August 8-9. 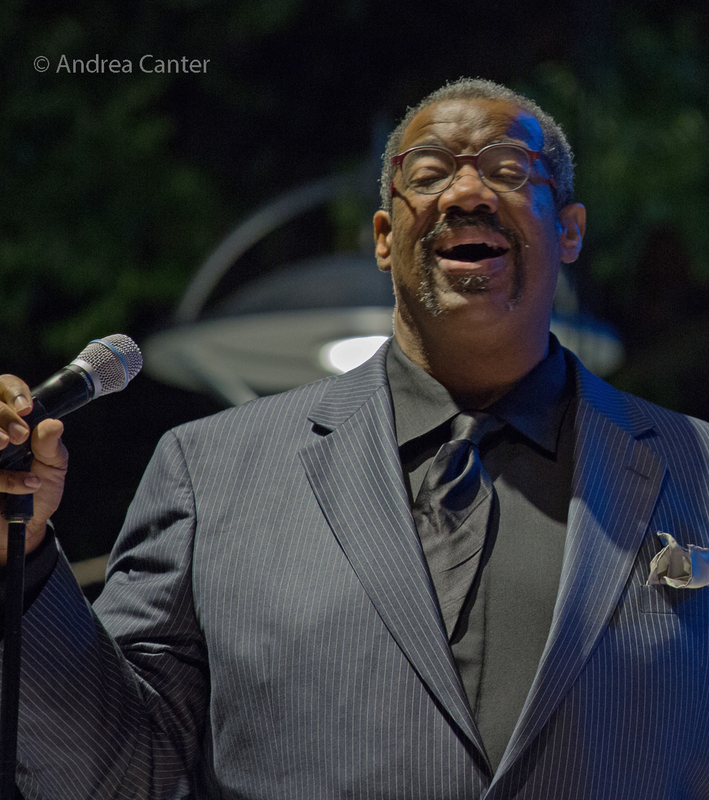 It's been a number of years since star vocalist Kevin Mahogany visited the Twin Cities, and he makes up for the lapse with two nights in the Dunsmore Room with support provided by Mary Louise Knutson and friends. Wednesday, August 9. 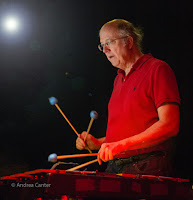 For his monthly improv night at Jazz Central, Chris Bates brings forth Astrologer's Blood: Chris Bates - electric bass and effects ; John Keston - keyboards and synths; Randy Kramer - drums and percussion; Shon Troth - lap steel guitar and effects. Hang on tight! Thursday, August 10. I first encountered Adam Linz as an opening solo act for Happy Apple at the Cedar, maybe 15 years ago? Here's an opportunity to hear the mature bassist alone (with just his bass and subvocalizations) at Khyber Pass, followed by the duo of Anne LaBerge (flute) and Nathan Hanson (sax). Friday, August 11. The Jana Nyberg 5 debuts in the Dunsmore Room, and they have a new CD to celebrate! At Vieux Carre', enjoy the exciting rhythms of the Babatunde Lea Quintet with the master percussionist, Zacc Harris (guitar), Matt Trice (sax), Will Kjeer (piano), and Ted Olsen (bass). 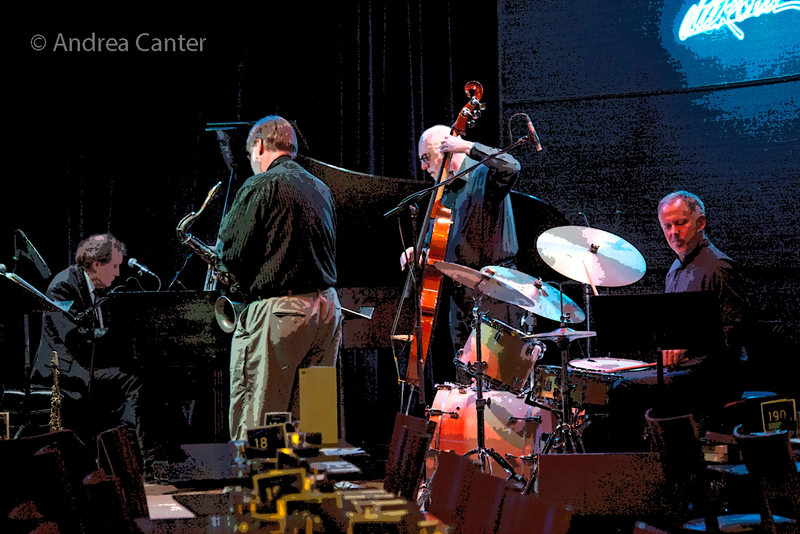 The Masters Series at Jazz Central brings five to the stage--No Room for Squares is a band of veterans, with the usual line-up including Jon Pemberton, Jimmie Wallace, Mikkel Romstad, Adam Tucker, and Bill Stieger. Saturday, August 12. Saturday Night Jazz at the Black Dog kicks off with the Will Schmid Quartet , hot off their Jazz Central gig, followed by the intrepid Illicit Sextet. A rare Saturday night in the Dunsmore Room: London-based, Wisconsin native bassist Michael Janisch is in town (see August 7 above) with some of our best--Brandon Wozniak on tenor, Jake Baldwin on trumpet, Zacc Harris on guitar and Pete Hennig on drums. 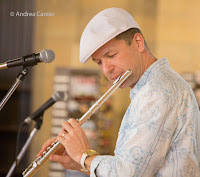 Janisch was on stage at the 2015 Twin Cities Jazz Festival with his London trio, Cloudmakers, and has toured and recorded recently with his sextet, Paradigm Shift. 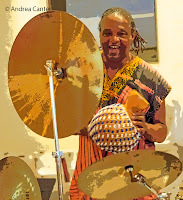 Legendary jazz drummer Eric Kamau Gravatt, who has played with McCoy Tyner, Joe Henderson, Weather Report, Byard Lancaster, and Dom Um Romão will be sharing his musical life experience with the Boom Room at Boom Island Brewing..
Sunday, August 13. 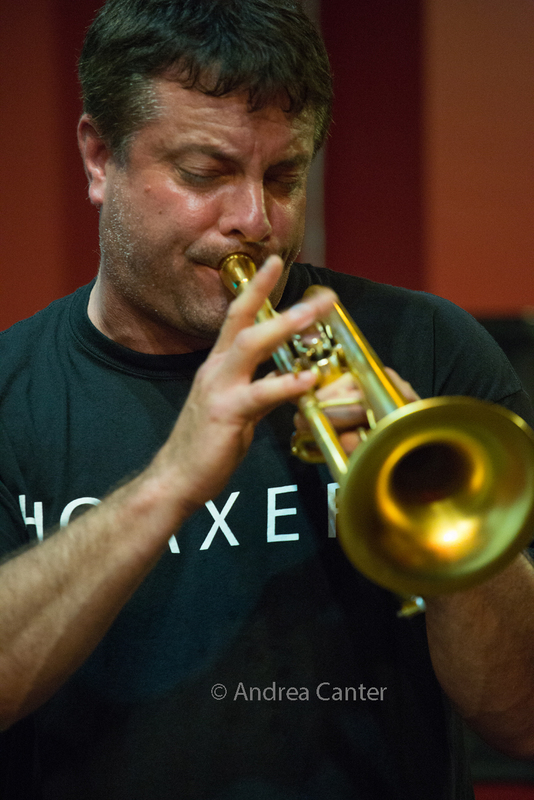 Trumpeter Warren Vache' kicks off a star-studded week in the Dunsmore Room. Down in Rochester, it's the second annual Rochester City Jazz Festival, with the Jana Nyberg 5 and Illicit Sextet headlining the evening at the Rochester Civic Theater. At the Dakota, it's yet another birthday party for Irv Williams, this one is #98! Irv's frequent partners at Happy Hour, Billy Peterson and Steve Blons, will be on hand. Monday, August 14. At Jazz Central, something billed as the Latin Jazz Combo, which likely has at least one musician named Santiago. 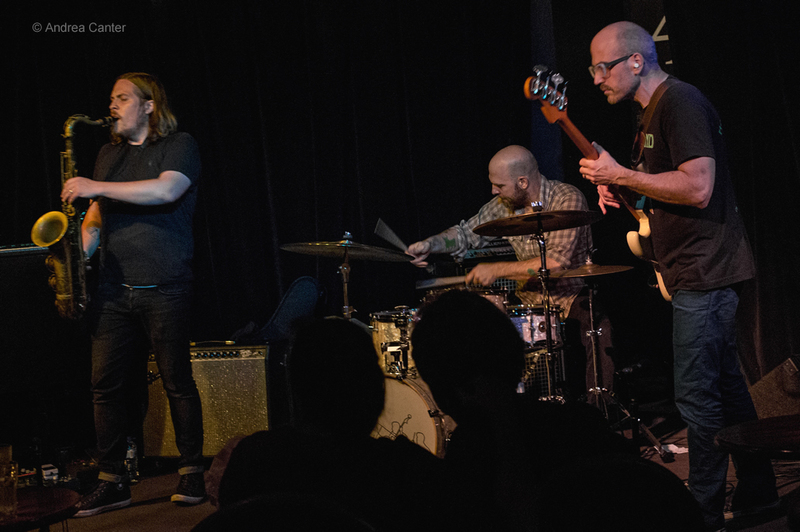 Over at the Black Dog, a national act with local talents: Bassist Lindsey Horner comes to town to play with guitarist pal Chris Cunningham and like-minded drummer Greg Schutte. 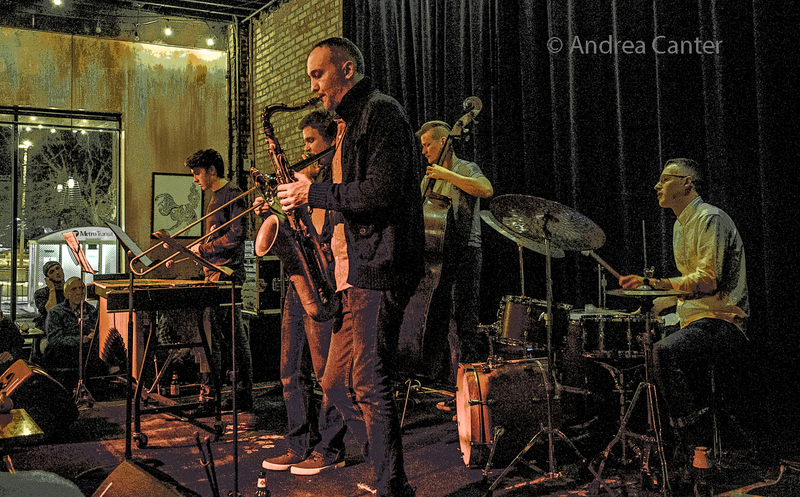 And JT's Jazz Implosion at the Icehouse features a double CD release for Jeremy Ylvisaker with Mike Lewis and JT himself, followed by the high-energy of Mancrush, led by drummer Lars-Erik Larson. Monday-Tuesday, August 14-15. The Dunsmore Room hosts two nights with former Minnesota resident, Copenhagan-based saxophonist Bob Rockwell and New York pianist David Hazeltine; they're joined by former cohorts at the Artists Quarter, Billy Peterson on bass and Kenny Horst on drums. Tuesday, August 15. Chris Lomheim opens solo, followed by the Phil Aaron Aaron Trio with vocalist Joyce Lyons, at Vieux Carre'. Wednesday, August 16. 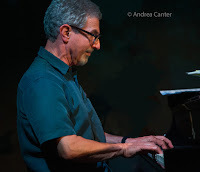 Local piano hero Phil Aaron pays homage to one of his muses, Bill Evans, tonight in the Dunsmore Room. At the Dakota, pianist/storyteller/vocalist/writer/producer/all-around Renaissance Man Ben Sidran returns for an evening of music, philosophy, and fun. At Vieux Carre', swinging fun is on the agenda, with Rick Carlson opening solo piano, followed by Butch Thompson and Dean Magraw. Thursday, August 17. 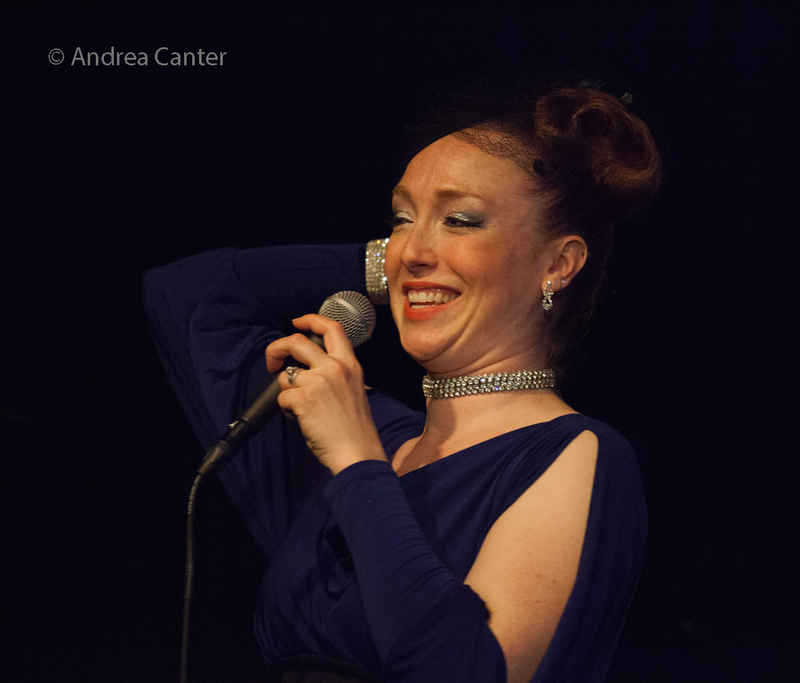 "Getting Sentimental"-- new cabaret dinner series at the Nicollet Island Inn features a trio of jazzy voices--Vicky Mountain, Dorothy Doring, Connie Dussl with Joey Clarke on keys. Tickets include dinner. More focus on vocals at Jazz Central as pianist (and sometimes vocalist) Laura Caviani joins forces with vocalist Linda Alvarado. At the American Swedish Institute, it's an injection of Cuban music as Charanga Tropical and salsa dancing provide a festive evening. Friday, August 18. After their stellar CD release gig earlier this summer, the amazing young guns of Hoaxer repeat at Vieux Carre' --Will Kjeer, Peter Goggin, Charlie Lincoln and Edmund Catlin. 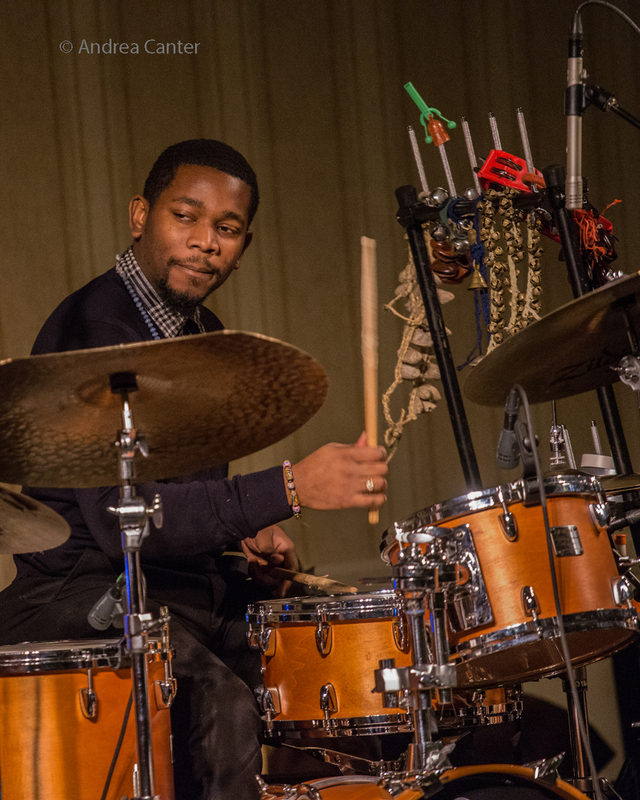 Jazz Central hosts the visiting Bridge Trio, three rising star artists who cut their teeth in New Orleans with Donald Harrison--pianist Conun Pappas, bassist Max Moran (Christian Scott), and drummer Joe Dyson (Dr. Lonnie Smith, Nicholas Payton). 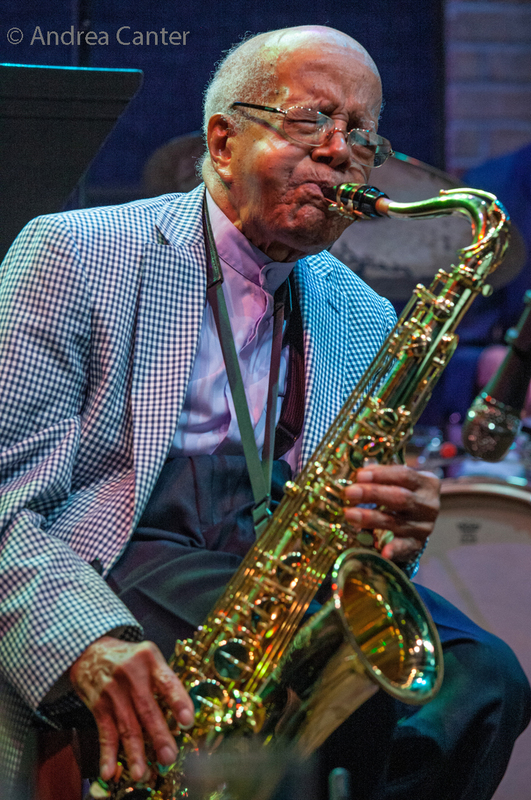 Dyson was in town with Payton at the 2017 Winter Jazz Fest. At the Black Dog, get your Brazilian rhythms fix as Choro Borealis (Robert Everest, Pat O'Keefe, Tim O'Keefe) takes the stage. Friday-Saturday, August 18-19. One of the summer's best-kept jazz secrets has been the Williamsburg Room at the recently renovated Lexington in St Paul. Some of the area's top jazz ensembles have been on the bandstand, but finally The Lex is posting their music calendar. The Peter Schimke Trio captivates diners tonight -- and most likely Kenny Horst will man the trapset with Chris Bates on bass. Saturday, August 19. Steve Kenny has been working on this booking for quite a while and finally Happy Apple (Mike Lewis, Eric Fratzke, Dave King) will be on the Black Dog bandstand! Only the young would be brave enough to open for Happy Apple-- the quintet SPACE (Will Schmid, Charlie Lincoln, Patrick Adkins, Alma Engebretson, Luke Peterson). Another esteemed band of veterans takes the band stand at Boom Island Brewing at the Phil Hey Quartet fills airspace in the Boom Jazz Room. And one of our beloved veteran vocalists, Patty Peterson, joins "Friends" at Bunkers. Soon to be a seasoned veteran, vocalist/pianist Andrew Walesch performs for diners and dancers at the Normandy Kitchen. Sunday, August 20. An afternoon delight--Rick Carlson and Maud Hixson celebrate great songs of the 50s at St Albert the Great Church . Doug Little celebrates his birthday by bringing Charanga Tropical to The Cedar, opening for drummer Tito Puente, Jr. who is on his first-ever tour of Minnesota. Sunday-Monday, August 20-21. 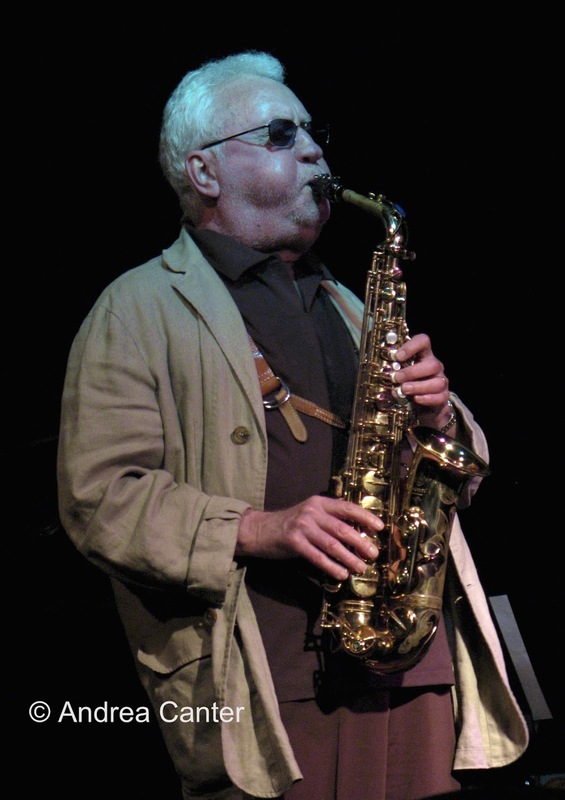 The Dunsmore Room is booking more and more national artists, and for two nights, international stars as working legend saxophonist Lee Konitz comes to Fridley with extraordinary pianist Dan Tepfer. 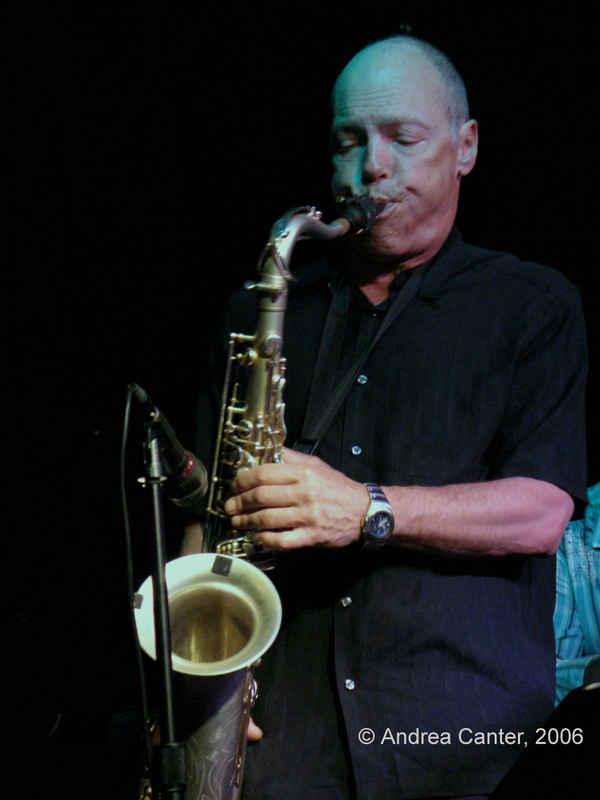 It's been about a decade since Konitz came to the Twin Cities. Monday, August 21. JT's Jazz Implosion welcomes a special edition of the Steven Hobert Quartet, featuring guest guitarist John Penny. Hobert on keys with Pete Whitman (sax), Yohannes Tona (bass) and Arthur LA Buckner (drums). "A night full of originals and covers by the likes of Stevie Wonder, Nina Simone, John Coltrane." At the Dakota, three of the funniest jazz giants you will see around town, the Travis Anderson Trio (with Travis on keys, Steve Pikal on bass, Nathan Norman on drums) hold attention at the Dakota. Tuesday, August 22. Young guitarist Will Schmid has been back in town only about a month this summer but it seems he has played a year's worth of gigs, often as leader. Tonight he brings a quartet to the Black Dog featuring Jake Baldwin on trumpet, Graydon Peterson on bass, and Jesse Thorson on drums. And you can get your dose of Latin tonight as the Twin Cities Latin Jazz Orchestra takes their monthly slot at Jazz Central. Wednesday August 23. Good music deserves repeating, and tonight Larry McDonough and his quartet reprise his toast to Bill Evans & Tony Bennett, "You Must Believe in Spring," at the Warming House. Unlike the originals, Larry plays both parts! Thursday, August 24. Her recordings have been few and far between, and this one is long overdue-- Debbie Duncan records live tonight at the Dakota. Over at the Lexington, Benny Weinbeck and Gordy Johnson will hang in the Williamsburg Room. At the Green Lantern, check out KTB-- Kjeer, Tucker, Burgess (aka 2/3 of Group 47), their last gig til Will Kjeer is back for winter break. Friday, August 25. 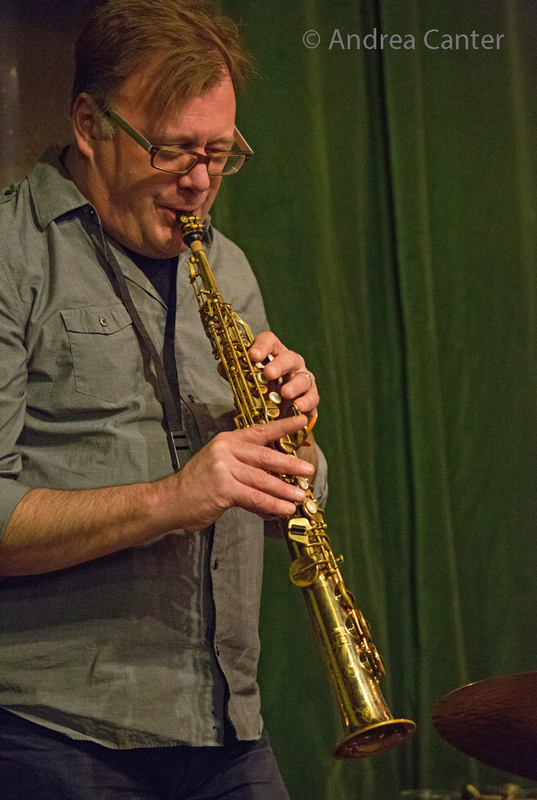 "All Originals Jazz" at Studio Z hosts one of the more unusual projects tonight-- Jazz Word Jazz, a night of poetry from Jim Larson along with improvised music from a talented jazz ensemble dubbed MILTD41--Chris Bates, Will Jensen, Steve Kenny, Nathan Hanson and Greg Schutte. 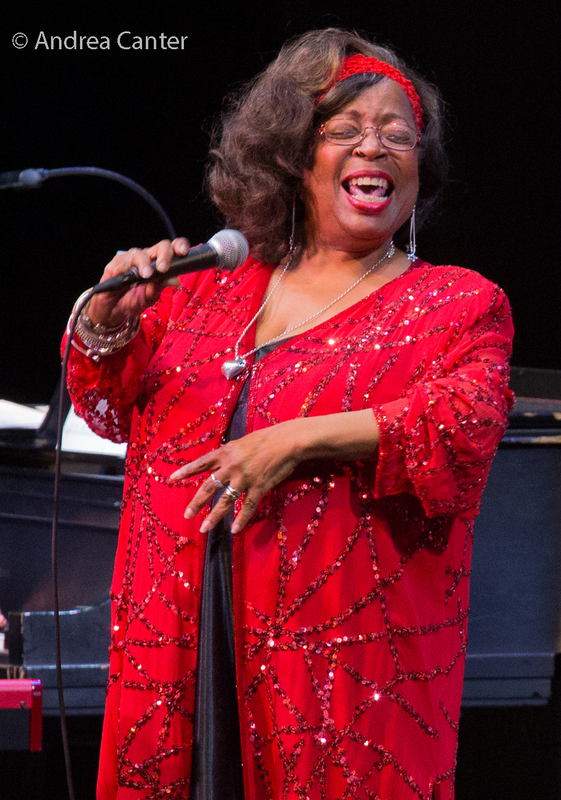 We don't often hear a salute to the great Roberta Flack, making this night in the Dunsmore Room with Ginger Commodore extra special. Ginger's velvety voice seems particularly well suited to this music, and she will be accompanied by her GC Quartet. 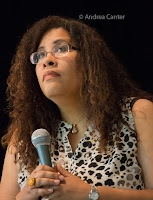 And if that doesn't work for you, she will reprise the show at Vieux Carre' on Saturday (August 26). Likely his last performance before heading west to resume studies at Cal Arts, pianist Will Kjeer is on stage at Jazz Central with drummer Jesse Simon and visiting bassist Shigefumi Tomita. Friday-Saturday, August 25-26. Enjoy old St Paul ambience and new Twin Cities jazz with the Jake Baldwin Trio in the Williamsburg Room at the Lex. Friday-Sunday, August 25-27. Three nights of improvisation at the Southern Theater features Black Magnesia curated by Joe Horton. 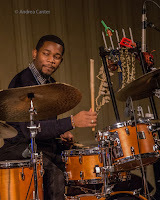 Each night addresses a different aspect of improvisation and a different combination of artists--Joe Horton, Anthony Cox, Cory Healey, DeVon Gray, Chris Cunningham, Pat O'Keefe, Dave King, James Buckley, Trever Hagen, Andrew Broder, Graham O'Brien, Mankwe Ndosi, Heather Barringer, Sarah Porwell-Lee, Joey Van Phllips, Ernest Bisong, Peter Schimke and Josh Clausen. Saturday, August 26. 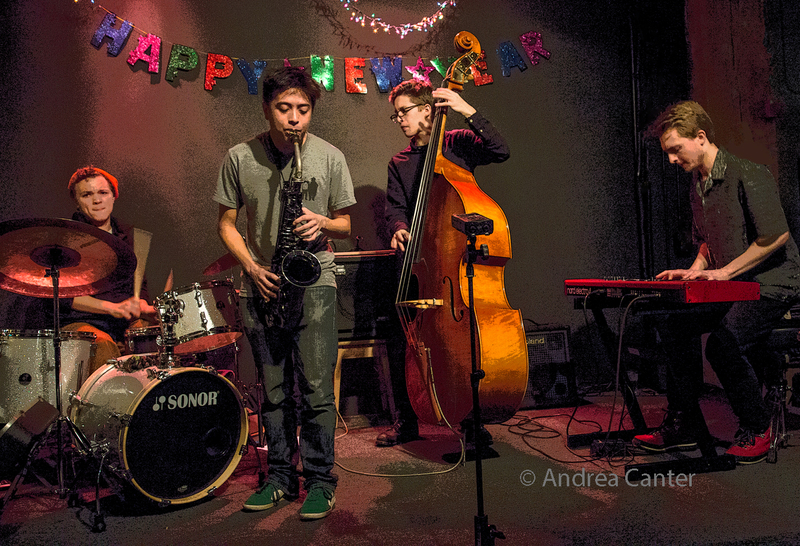 At the Black Dog, the JazzINK Youth Showcase presents the BCA Trio, followed by Steve Kenny's Quintet (Kenny, Nelson Devereaux, Levi Schwartzberg, Ted Olsen, Miguel Hurtado). The MN Hard Bop Collective returns to the Boom Room Jazz at Boom Island Brewing Co, with pianist Javi Santiago and visiting bassist Shigefumi Tomita, Professor of Jazz Performance & Pedagogy at the University of Massachusetts, Amherst. 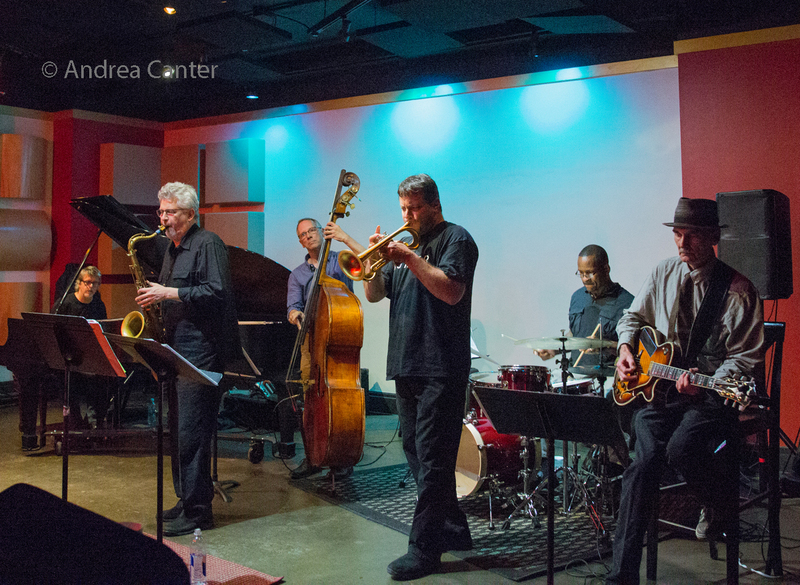 Jazz Central hosts an evening of reading of new works by local artists of the Twin Cities Jazz Composers Workshop--Adam Meckler, Aaron Hedenstrom, JC Sanford, David Stamps, Asuka Kakitani. Sunday, August 27. 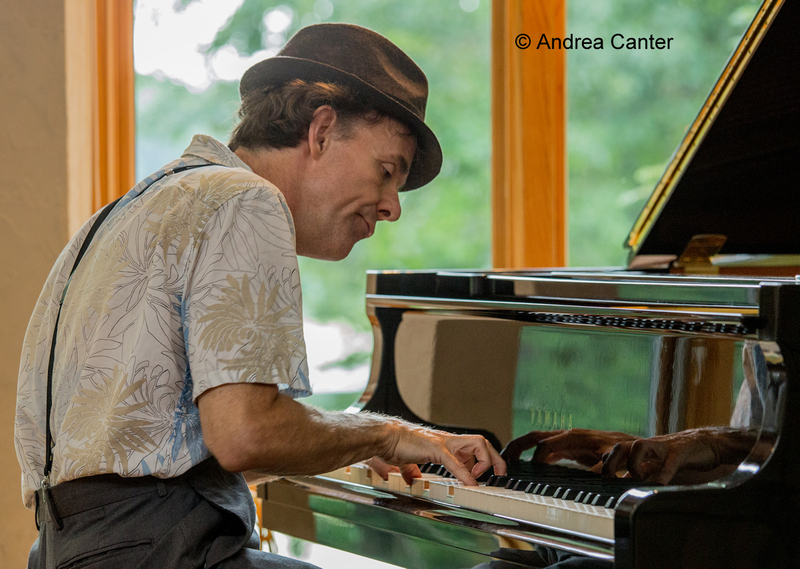 The Dunsmore Room offers a taste of New Orleans with saxophonist, clarinetist, and composer Aurora Nealand and pianist Tom McDermott. I had a chance to hear McDermott in a house concert a few years ago-- this will be a high energy night! 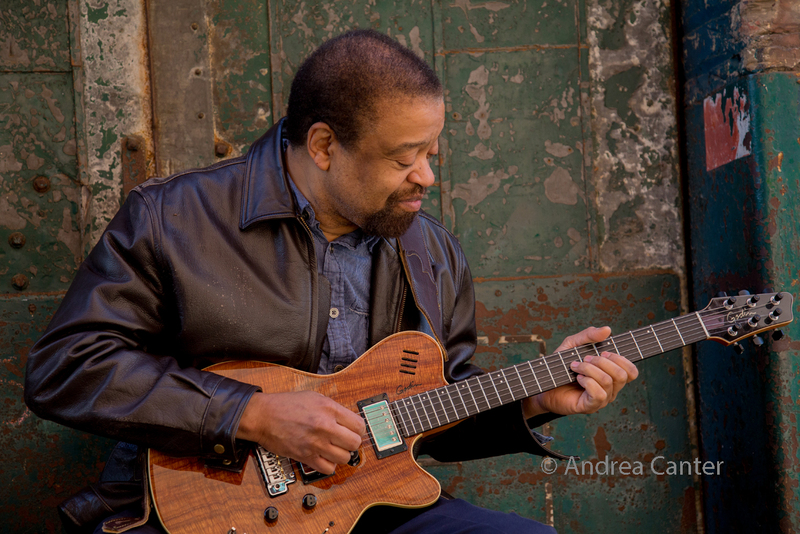 It's been a while since Red Planet took flight but the trio is back in the stratosphere at the Black Dog tonight-- Dean Magraw, Chris Bates and Jay Epstein travel through the postbop timezone. Monday, August 28. At the Icehouse, JT's Jazz Implosion offers a quartet of local heavyweights-- Dean Granros, Paul Metzger, Anthony Cox, and JT himself. Tuesday, August 29. 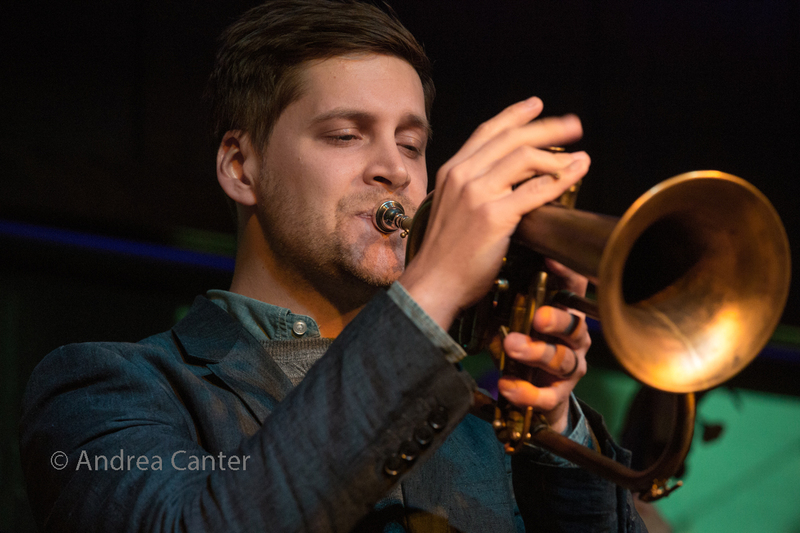 A fifth Monday brings the Aaron Hedenstrom Orchestra to Big Band Night at Jazz Central, and that means some cool originals from this award-winning composer. Wednesday, August 30. 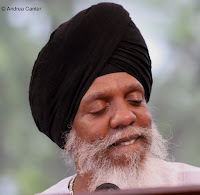 It's been a long time since Dr. Lonnie Smith performed his B-3 magic at the Dakota. Now the new NEA Jazz Master is back for one glorious night! Thursday, August 31. End the month with some endless energy from the young turks of the McNasty Brass Band, in prime time at Vieux Carre'. At Jazz Central, vocalist/educator Sarah M. Greer presents music from her upcoming album, a project supported by a Minnesota Artists Initiative Grant. Sarah will share stories behind the songs and talk about her songwriting process. This is audience participation--listeners will be asked to share their reactions and ask question. Joining Sarah will be a quartet featuring Steven Hobert, Ian Young, Nathan Greer and special guest, trumpet master Solomon Parham.